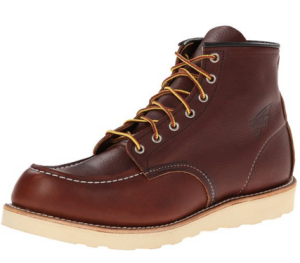 These boots are not only American made, they are an American classic…true Americana. One of the finest pair of boots I’ve ever had. Not only are the no-scuff soles soft and cushioning to your feet, but they are also quiet…almost silent. They’re hard working boots…that can stand up to long days and rough trade work. Also after work…these boots are the best. I get so many compliments on them. No shoes look better with jeans or chino trousers or cargo pants than these boots. Just add a leather belt to match the boots and you’ll look good to the ladies. 6 Will these boots keep me safe? 7 How comfortable are they? 8 How long will they last? 9 Are these work boots for me? Will these boots keep me safe? These boots are super solid and supportive. They are crafted from thick, tough leather. The construction can’t be beat. 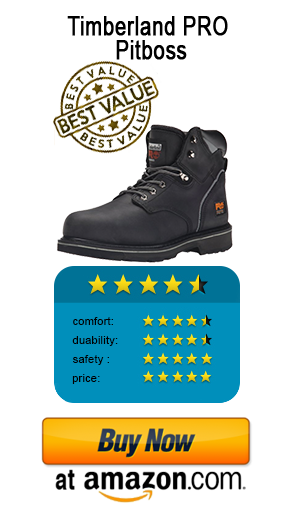 If you are a tradesman like me, you have a tough, demanding job and you need a tough boot to withstand tough conditions. 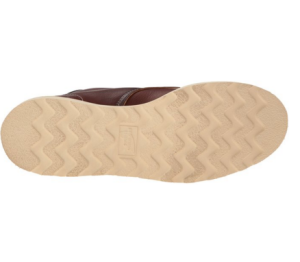 The manmade soles have a good stable grip that will keep you from slipping. They are great on both grass and hard concrete. These are the best work boots I’ve ever owned. 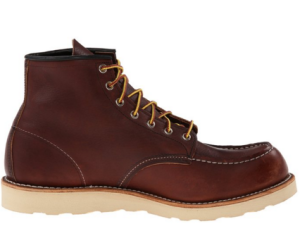 This is a genuine leather boot so the leather starts out stiff. However, after the break in period, the leather will stretch and turn pliable and soft…and mold to your foot…fitting just like a glove. I experience phenomenal comfort in my feet, legs, knees, and hips with these boots…even better then I get from tennis shoes…and I stand on concrete for long hours, day in and day out. It doesn’t matter if you use them for walking for long periods or standing for long periods these boots are comfortable. They are not only comfortable to wear in cold weather, keeping your feet warm, but they also breathe well in summer. These boots will see you through the seasons in comfort. There is a lot of life in these boots. They are made of fine leather and quality craftsmanship. The construction can’t be beat. The stitching is top quality. The Goodyear Welt Construction, anchoring all the layers of the boot together, delivers the highest level of both comfort and extreme durability. Tough as nails…these boots will withstand the test of time. They can take a beating and still look great. You can replace the soles when they finally do wear out to extend the life of these boots even further. These boots are a great investment. If you take care of these boots they’ll take care of you, year after year. Are these work boots for me? 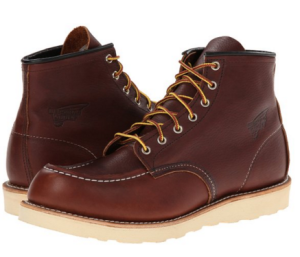 When it comes to footwear, nothing can compete with a quality leather, American made boot in a classic style. Still unsure? 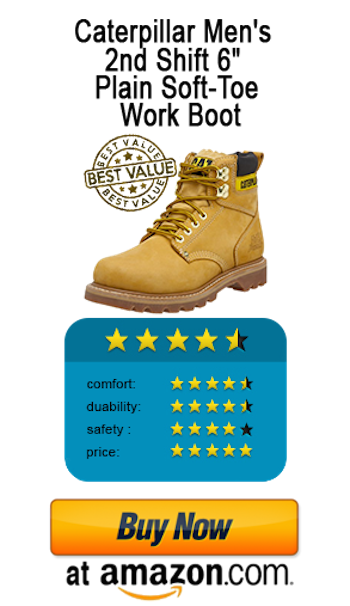 Make sure you check out all the great in-depth work boot reviews here!